Simple, heartfelt effort by students yields impressive results! 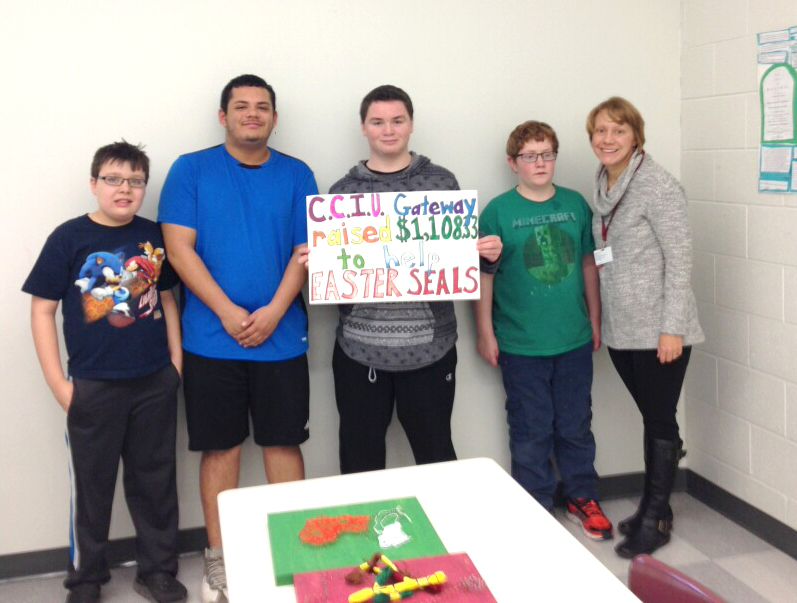 Last month, Brandywine Technical College High School’s Gateway program held a two week fundraiser for Walk With Me on June 6, 2015 to benefit Easter Seals Southeastern Pennsylvania. The 8th grade class of four students voted on the organization they wanted to fundraise for and set a goal of $800. By selling Philly Pretzel Factory pretzels and asking for donations going from classroom to classroom, they surpassed that goal and raised over $1100! Thank you to Gateway 8th graders and their teacher, Mindy Hughes for all your hard work and fundraising efforts to spread the word about Walk With Me Philadelphia throughout your community. This entry was posted in child stories, General info and tagged Brandywine Technical College Highschool program, Easter Seals, Easter Seals of SEPA, Philly Pretzel Factory, Walk With Me on January 21, 2015 by Easterseals.